The International Arbitration Institute is an embodiment of the University of Miami’s long tradition of engagement with the law of arbitration. The Institute strives not only for progress through the education of the new generation of arbitration lawyers, but also for progress through research in international arbitration. The Institute also caters to a particular reality of international arbitration, namely the indispensable need for financial analysis, and intends to continue offering grounding in accounting and quantum to arbitration practitioners in a realistic way. WHY INTERNATIONAL ARBITRATION IN MIAMI? An enriching professional context, as Miami is an important international arbitration center, particularly for Latin America. 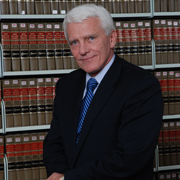 In addition there is a tradition of arbitration at Miami Law. University of Miami School of Law’s legendary dean from 1974-82, Soia Mentschikoff was a pioneer in the study of the arbitral process in the 1950s and 1960s. Mentschikoff gathered 180 arbitrators from four occupational groups (lawyers, manufacturers, bankers and brokers) and asked them to decide a hypothetical case designed so that both parties were partially right and partially wrong. The purpose of the experiment was to determine whether professional backgrounds result in cognitive biases and a greater or lesser willingness to agree with others. The Institute brings renowned international arbitrators and experts to the University of Miami School of Law to lecture throughout the academic year. Click here to see a listing of upcoming and past lectures/courses. Based on the earlier experimental study conducted by Dean Mentschikoff, the issue of cognitive bias in international arbitration is being further researched by the Institute. The Institute also caters to a particular reality of international arbitration, namely the indispensable need for financial analysis, and intends to offer a practical background into the accounting and quantum methods used in international arbitration. The Institute will conduct research on the 1958 New York Convention's Drafting History in Spanish and French. The Institute will focus on user's criticism on investment arbitration and conduct empirical research in order to move forward. Click here to see a listing of current and future publications. January 7-11, 2015 - Miami School of Law's International Arbitration Institute's Course on The Fundamentals of International Arbitration led by Professor Jan Paulsson with Professors Keith S. Rosenn and John Rooney. The Course offered an intense theory tutorial on the fundamentals of international arbitration and the opportunity to develop practice skills with mock sessions on oral argument and witness examination. September 14-18, 2014 - Practitioners' Course on “The Fundamentals of International Arbitration and Caribbean Arbitration Trends” led by Professor Jan Paulsson, featuring an intense three day theory tutorial, two day training module to develop practice skills, mock sessions on oral argument and witness examination, and sessions run by leading international scholars and practitioners.